Melala Addis Bed and Breakfast is a niche guesthouse that offers comfy and practical accommodation. We have a vast experience in the hospitality sector as well as a great knowledge of the city, elements that we do capitalize and take advantage of to bring the very best possible experience to our guests and travellers within our facilities. 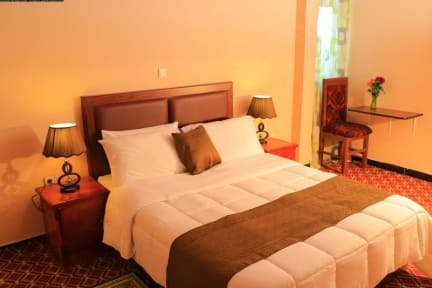 The place is close to metro station to easily navigate Addis and you will find a lot of things around such as coffee shops, restaurants, lounge and bars. We are located in one of the best areas of the city, near to some of the finest landmarks and most renowned attractions such as Boundless Ethiopia Tours, Yama Ethiopia Tours and Leipzig Square, amongst other interesting spots of our city. 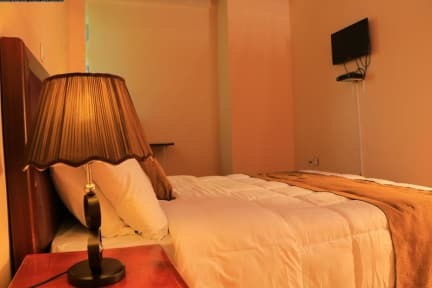 We have different kinds of rooms (from single room to double room with balcony), all of them fully equipped with all the necessary services and amenities. In addition, we have several common areas where the guests and travellers can enjoy our facilities and relax for a while.